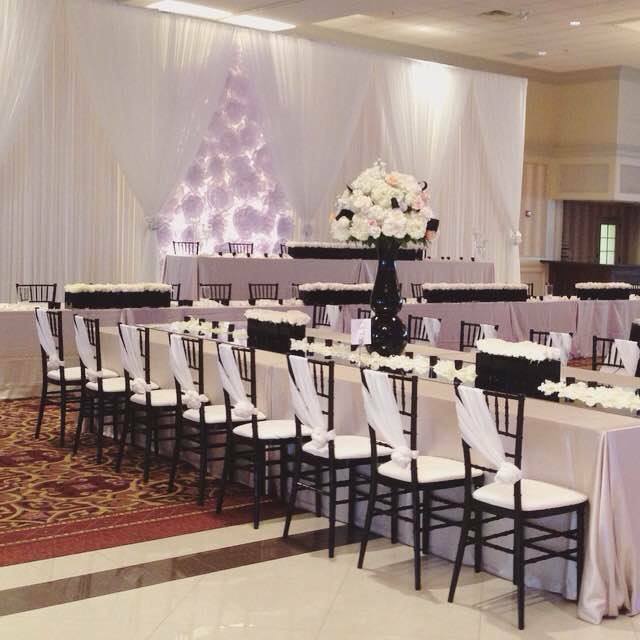 For superior quality wedding furniture rental in Michigan, turn to the professionals at Luxe Event Linens. You can choose from our large inventory of rental furniture to create a unique wedding event you and your guests will love. Our designers do everything they can to meet and exceed your expectations. Starting with your initial consultation, you will have a trusted partner that will help you carefully plan and manage this big day. When you have Luxe by your side, the entire planning experience is streamlined. You’ll benefit from our wealth of experience and get a talented team on your side making your event a complete success. Our stylists are committed to working with you and giving you the trend forward and superior products you’ve been looking for. We look forward to helping you plan your special day! We know that planning a wedding can be an overwhelming task, but we’re here to help. Choosing the right wedding furniture rentals is a great first step and sets the tone for your overall design. We have experience with weddings of all sizes, and know what it really takes to have a seamless wedding celebration. Luxe has furnished countless weddings ranging from small intimate weddings to large and luxurious. We have the furniture rentals you need for weddings outdoors, on the beach, or any size hall or reception area. We’ll help you select the right furniture and accents to reflect your style and create a pleasant atmosphere for you and your guests. Our wealth of experience in the wedding industry has guided our design decisions. We have a large selection too wedding furniture to help you find the right balance, keeping your guest comfortable during ceremonies and dazzled during receptions. Let us help you develop the magical event that your family and friends will remember for years to come.